Posted in: Radio Control. Tagged: Accessories, How-To, RC. 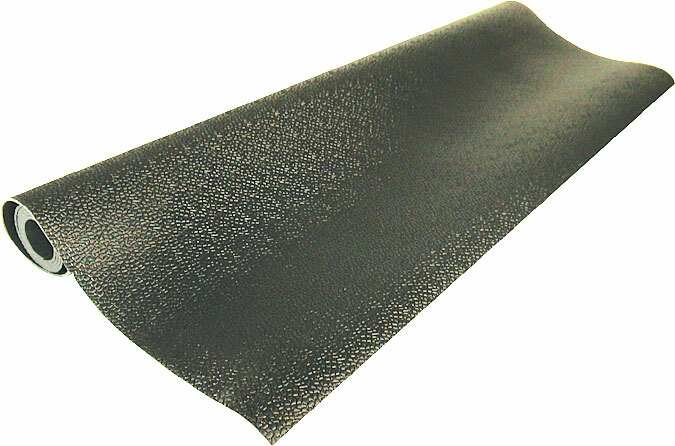 There are many schools of thought regarding Pit Mats; some say why bother and others say they are a necessity. Whatever side of the line you fall on, there is no denying Pit/Work mats help to keep your work area clean, organized and looking good. They also make life easier, simply by catching any screws, washers or nuts you may drop while working on your latest project. The mats can be found as standard or magnetic, it is a matter of personal preference. You should look for a mat with a non-slip back, something flexible, easy to roll up and transport should you want to take it with you to events. Pit/Work mats can be found in just about any price range. 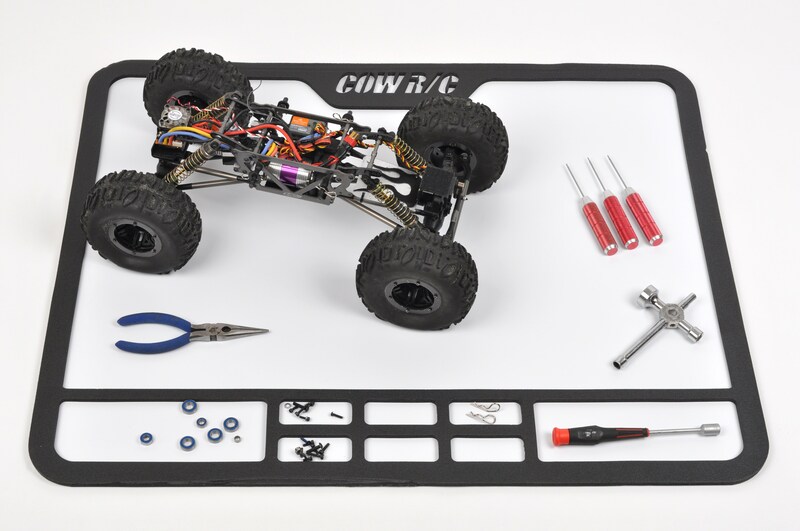 Here are a few Pit/Work Mat Options. 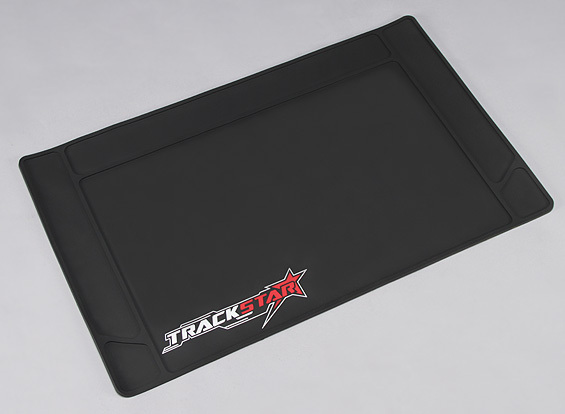 Hobbyking have recently released the TrackStar Work Mat. It is a basic work mat that comes in two sizes and has ribbed compartments for containing small parts. Don’t forget about your Local Hobby Store. Just search your LHS website and check out their selection. 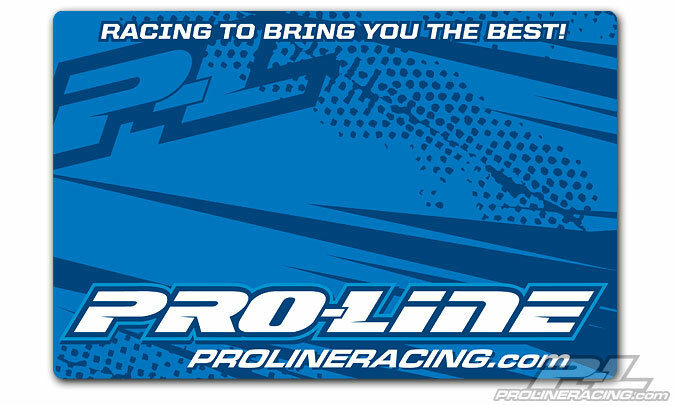 These mats are made by just about every RC related company from Pro-Line, Team Durango, Losi etc. Your LHS should have something to suit your needs. If you want to make one yourself, go to your local hardware store, pick up some Tool Box Liner and cut out the shape and size you want. This will give you a nice mat that will keep your surface clean, give some place to work, and it will catch some of the screws you may drop. You can add an edge or compartments to it by cutting strips out of the leftover material and fastening them to your mat using Shoe Goo or another flexible adhesive. You may want to double or triple up on the strips; it is up to you how high you want your edges/compartments. 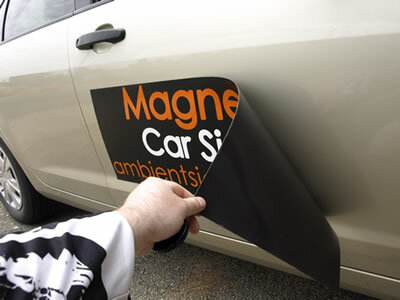 If you want a magnetic mat, you should look for an old removable magnetic sign that people use on the side of a vehicle to advertise. You can then cut it to the size you want, turn it upside down and you now you have a magnetic mat. These can be dressed up further by taking the Tool Box Liner process from above and gluing it to the magnetic sign. Lastly, You may be the type of person that a simple bath towel will do the trick for you.